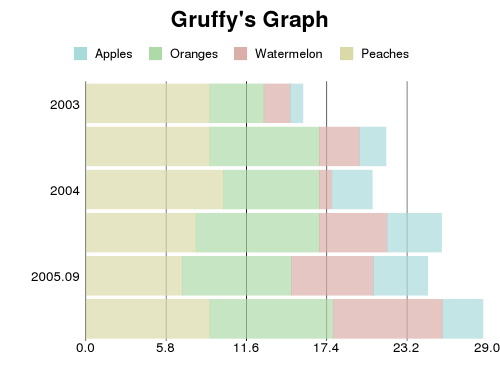 Gruffy is a yet another Python Graphing Library. 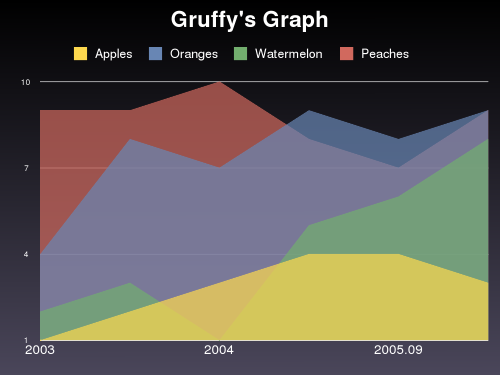 re-implementation to Gruff (Ruby Graphing Library). This module using pgmagick (GraphicsMagick) . Gruffy’s soucecode managed on github . Gruffy is written by Hideo Hattori . contact the author by e-mail to hhatto.jp@gmail.com . Gruffy is under the MIT License. see the LICENSE file. © Copyright 2010, Hideo Hattori. Created using Sphinx 1.0.4.